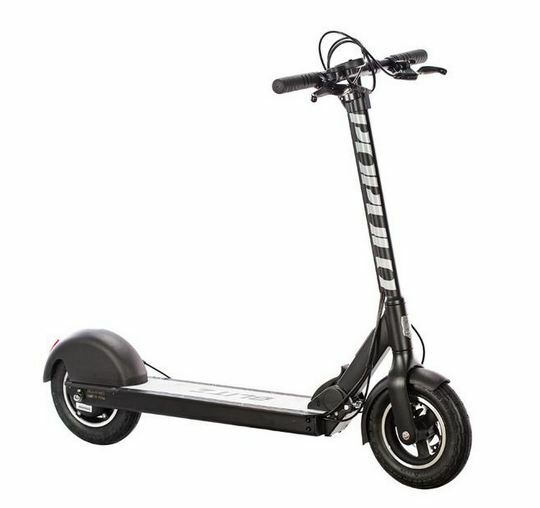 Our blitz electric scooter is the perfect transportation tool for urban commuters, errands, or college campuses. 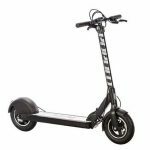 Blitz speeds you to your destination using a powerful, quiet 350W motor and lithium-ion battery system. You dial in the speed by selecting one of 5 modes from economy to power and then pull the trigger throttle to engage the motor. Blitz easily adjusts to suit riders of varying heights using a height-adjustable handlebar, so the whole family can ride. It’s light enough to fold and easily lift into the trunk of a car, or carry upstairs to a second floor apartment. The deck features a grippy surface for traction and both front and rear tires are air/pneumatic for comfort and control compared to other scooters which use solid rubber tires. Before taking a trip, think “do i really need a car for this” many trips are close to home or office, and well within the range of an electric scooter. 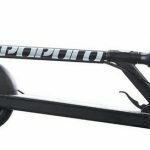 Electric scooters like the populo blitz are an emission-free, environmentally sensitive choice too, so you can feel good about reducing tailpipe emissions and keeping a car off the road. And you’ll save money on gas and insurance too! thanks to the folding design you can store blitz under a desk, in a coat closet, or even on PUBLIC transportation like a bus, ferry, or train. We’ve even included special touches like an integrated, handlebar-mounted bell for courtesy; and a kickstand for convenience.